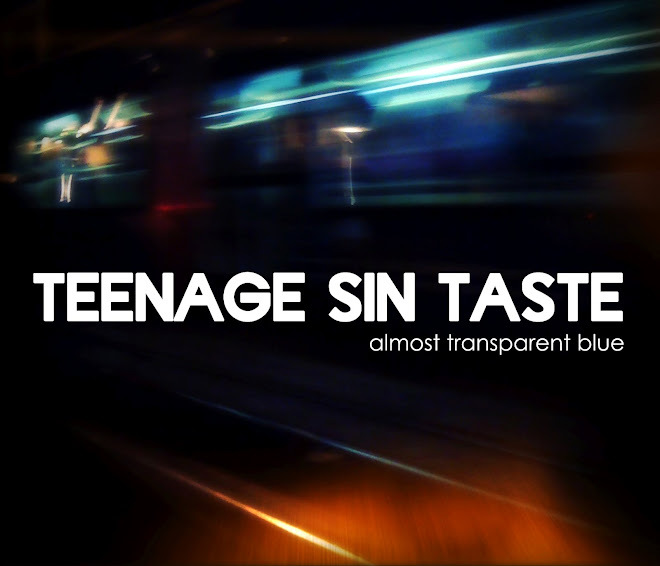 TeenageSinTaste: RAPIDO DE NOIR live !!! 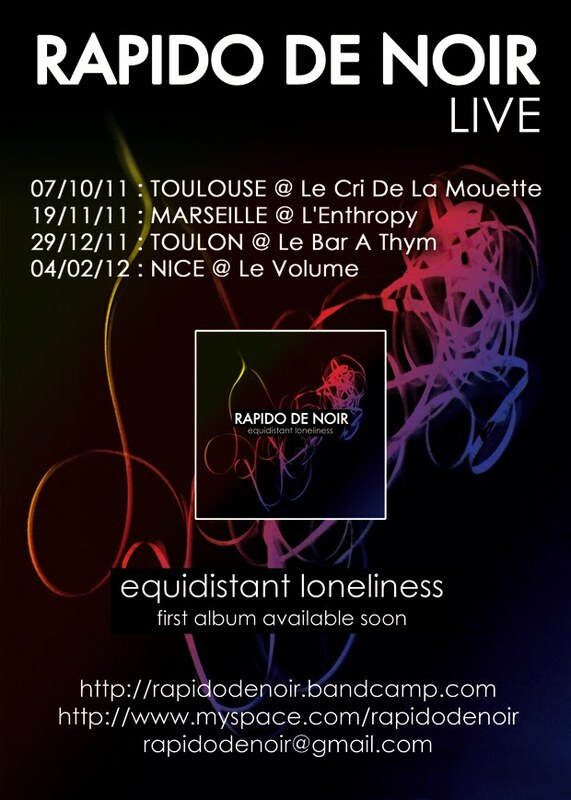 RAPIDO DE NOIR live !!! 07/10/11 : @ Le Cri De La Mouette (Toulouse) + The Red Lips. 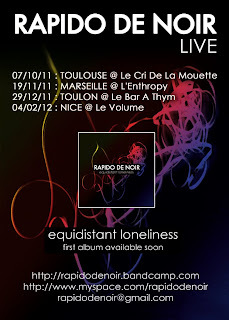 19/11/11 : @ L'Enthropy (Marseille) + Les Modules Etranges + Devilish Piranhas.